• The effects of one night's sleep deprivation on mood and behavior were evaluated in 12 patients with panic disorder, ten depressed patients, and ten controls. 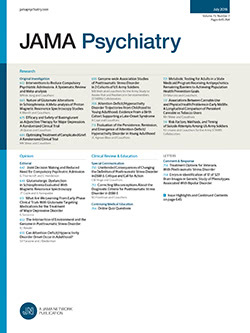 In contrast to the improvement in symptoms of anxiety and depression shown by the majority of depressed patients, the response of patients with panic disorder as a group did not differ from that of normal controls, although a subgroup did experience noticeable worsening in their symptoms of anxiety, with 40% experiencing panic attacks on the day following sleep deprivation. Electroencephalographic recordings with nasopharyngeal electrodes on the day following sleep deprivation were normal, further suggesting that patients with panic disorder do not have seizure activity characteristic of temporal lobe epilepsy.